Firestar Diamond, Inc. (FDI); Fantasy, Inc. (FI), and A Jaffe Inc. (AJI) filed for bankruptcy protection in the United States Bankruptcy Court for Southern New York on Monday. New York: Punjab National Bank (PNB) is not shown as a creditor in the bankruptcy documents filed in a court here by three companies affiliated with beleaguered jeweller Nirav Modi, who has been accused in a $2 billion (Rs 12,700 crore) scam involving the nationalised financial institution. The only banks mentioned as creditors are HSBC and Israel Discount Bank (IDB), which have outstanding loans totalling $20 million to two of the companies. The IDB's revolving credit facility is guaranteed by Nirav Modi personally, as well as by two other companies, the document said. The three companies - Firestar Diamond, Inc. (FDI); Fantasy, Inc. (FI), and A Jaffe Inc. (AJI) - filed for bankruptcy protection in the United States Bankruptcy Court for Southern New York on Monday. 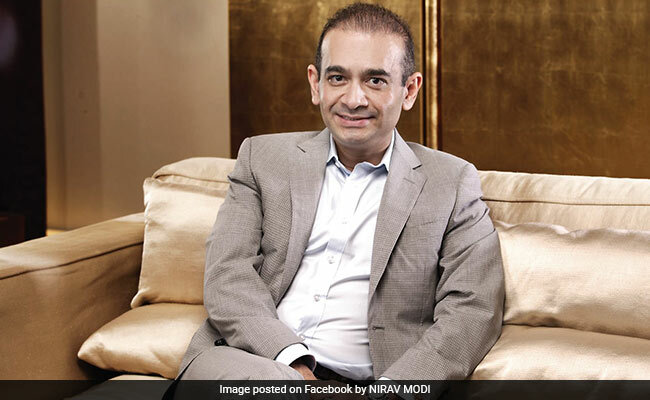 The bankruptcy petition documents, obtained by news agency IANS from the court system, show a maze of inter-connected ownerships that finally lead the three companies through several subsidiaries to Nirav Modi via Hong Kong. On Thursday, the Nirav Modi jewellery showroom on New York's Madison Avenue in the middle of high fashion outlets was closed, with the main entrance locked and shades pulled over the windows. They admitted that vendors were reluctant to continue doing business with them and some customers have begun to exploring other suppliers following the "negative publicity" that has impaired their operations and "created a great deal of uncertainty and confusion in the market". According to M Bansali's document, FDI is owned by another US company, Firestar Group, Inc. (FGI), which is a wholly owned subsidiary of a US company, Synergies Corporation, which is a subsidiary of Honk Kong-based Firestar Holdings Limited (FHL) that is ultimately owned by Firestar International Limited (FIL), an Indian corporation whose majority shareholder is Nirav Modi. Mr Bansali is also the president and sole director of FGI and Synergies. Ajay Gandhi is shown as the secretary and chief financial officer for the three debtors, as well as FGI and Synergies. AJI, it said, specialises in bridal jewellery and it had double digit sales growth for the last three years and were projected to reach $23 million in fiscal 2018, the document said. Mr Bansali asserted that they have seen "strong" early interest in purchasing some or all of their business operations.